The evidence for this blogpost title can be witnessed entirely in the city of Worcester. Here is a good introduction vid (no audio) showing the library itself and a few of its precious manuscripts. 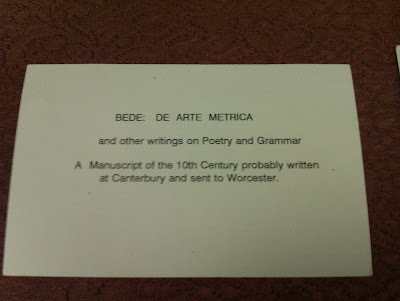 It includes in its prized collection THE VENERABLE BEDE's copy of 'Poetry & Grammar'! 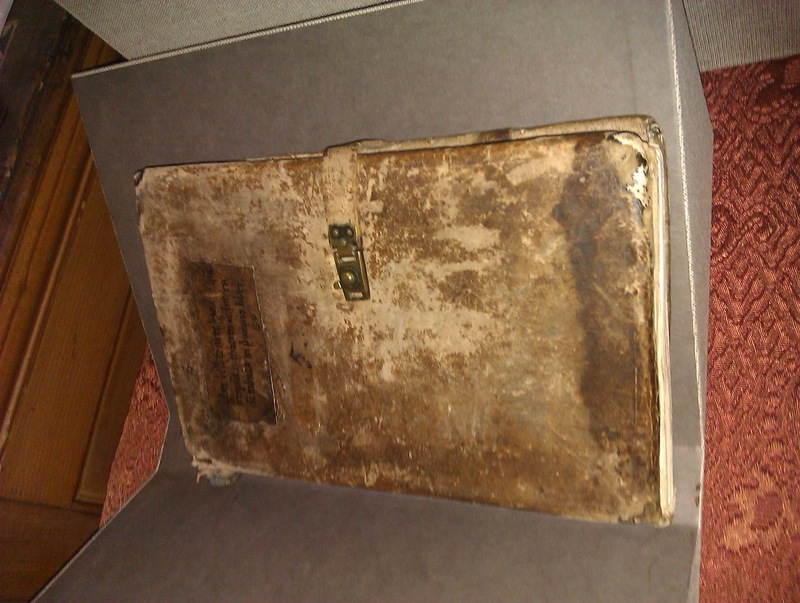 It still proudly bares the stamped book plate the monks gave it in the 10th century! Still has it's original cover although the spine is very faded. The Librarian at the cathedral then surprised me by reveal some Viking related objects. 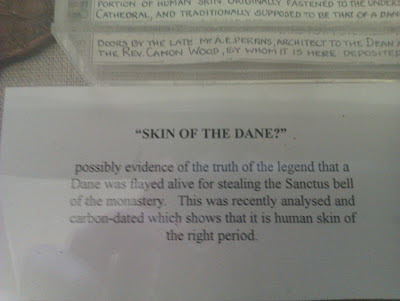 The first piece was rather gruesome, in fact it is the pieces of dead human skin, reputedly from a Danish viking, who decided to be brave and steal the Sanctus bell from the cathedral but was caught, flayed and had his skin pinned to the cathedral door! 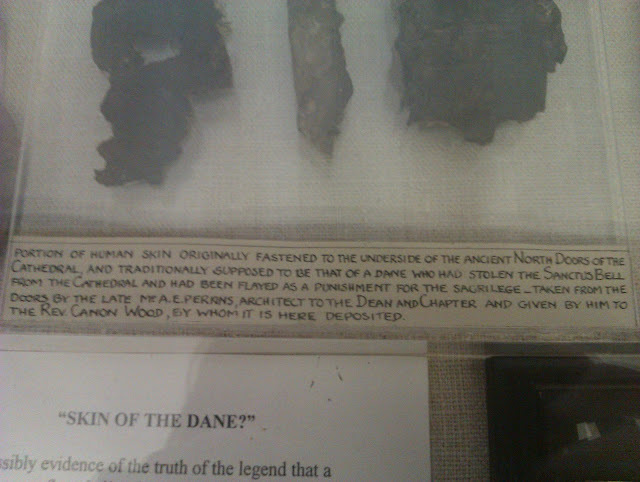 But the best was yet to come when he revealed to me a tombstone sized book written in the 16th Centruy by the Dean of Worcester, George Hickes, who decided to perform a study and almost revival into the norse language, which was almost forgotten in the period, and this included runic inscriptions! The Latin name for this volume is Linguarum veterum septentrionalium thesaurus grammatico-criticus et archæologicus but in English it is also known as "Grammatical-critical and archaeological thesaurus of the old northern tongues". It was the first such study of its kind and is an impressive achievement and is now one of the writings George Hickes is best remembered. 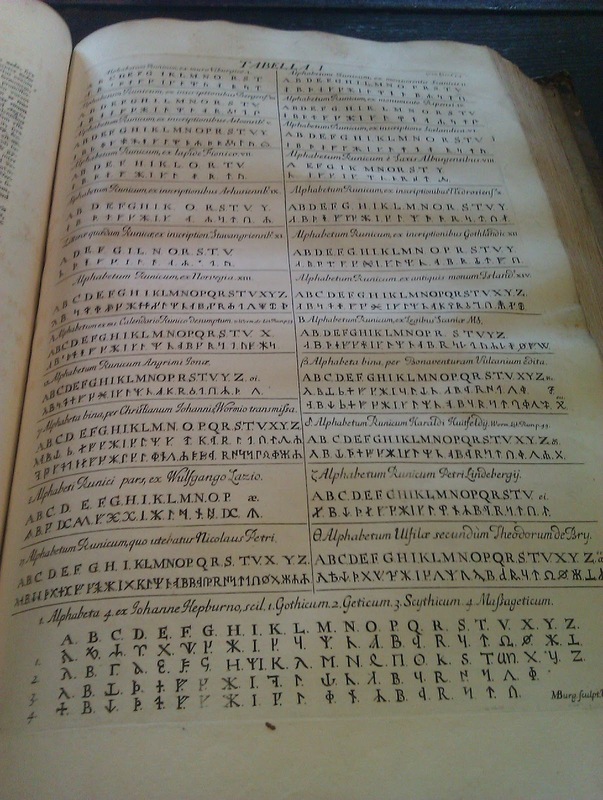 The page the Librarian showed me specifically - displaying a list of runic alphabets! Although it's all written in Latin I could make out the word NORWEGIAN and ICELANDIC! YAY! Now let's skip back to the present, or should I say, glimpse the future of libraries in the present, and this is all embodied in the new Hive building at Worcester which is a surprisingly successful amalgamation of both the Public Library, University Library, Council Services and Worcester's archeological and historical document archive. But as we visited when it was open, running well and most importantly BUSY - see my own pictures to have the total transformation revealed to you. This is a beautiful shot taken approaching The Hive from the back from Foregate St station. Modern looking isn't it? 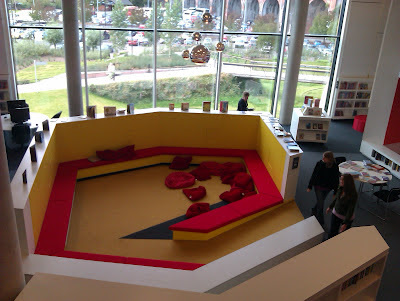 The rather cool, funky and multipurpose children's section. Which kid wouldn't want to enjoy a good book on those beanbags? 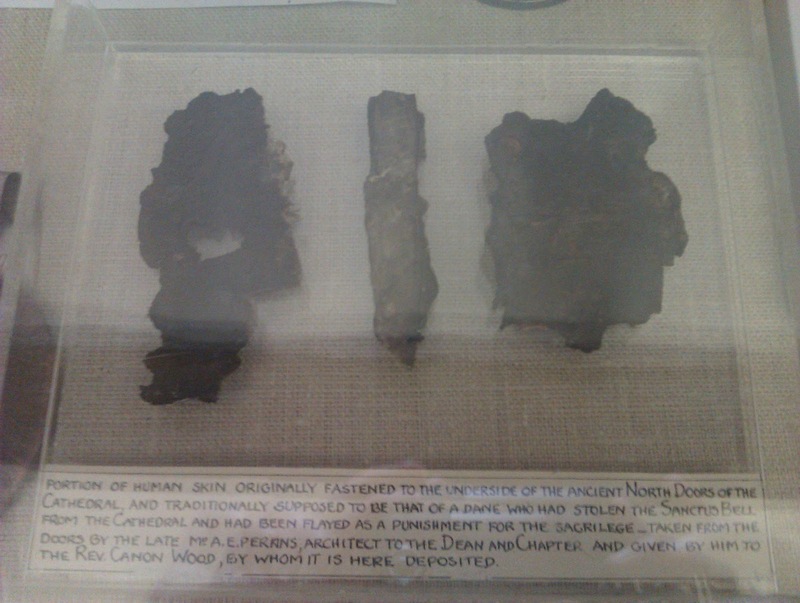 This is looking out from the far side of the first floor which is the 'Explore the Past' level - housing the archeology department, historical documents and some worthy museum artefacts displaying Worcester's physical history. 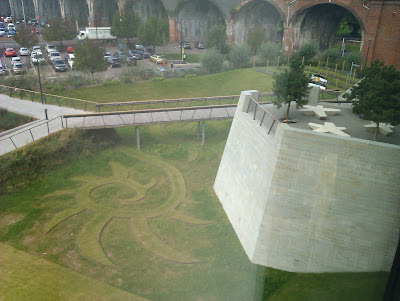 You can see the stairs which begin right near the entrance just behind it. The 2nd floor which is 'Read, Learn, Imagine' housing the total fiction and non-fiction collection. The slotted sky window at the top is one of the four pyramid-like towers of the Hive, it lets in daylight and also assists the natural ventilation and air flow. 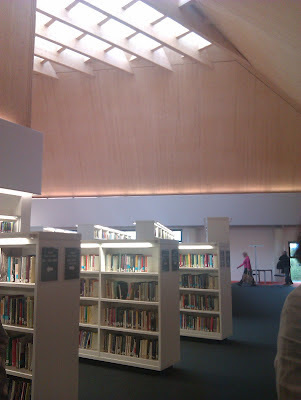 The wood panels add a nice soft touch instead of having it all just white washed like the shelves and walls. The comfy seeting area in the Fiction section. There is more behind where I took this shot. Opposite the seating area shown above is a large wall sized window looking out onto the front carpark and gardens with their fancy grass designs. 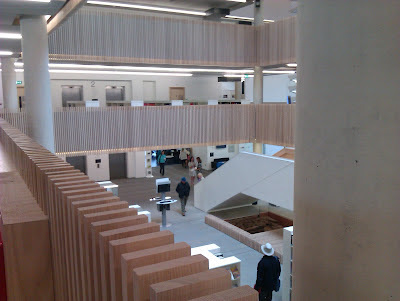 Note the funky modern seating area ontop of that concrete tower to the right. 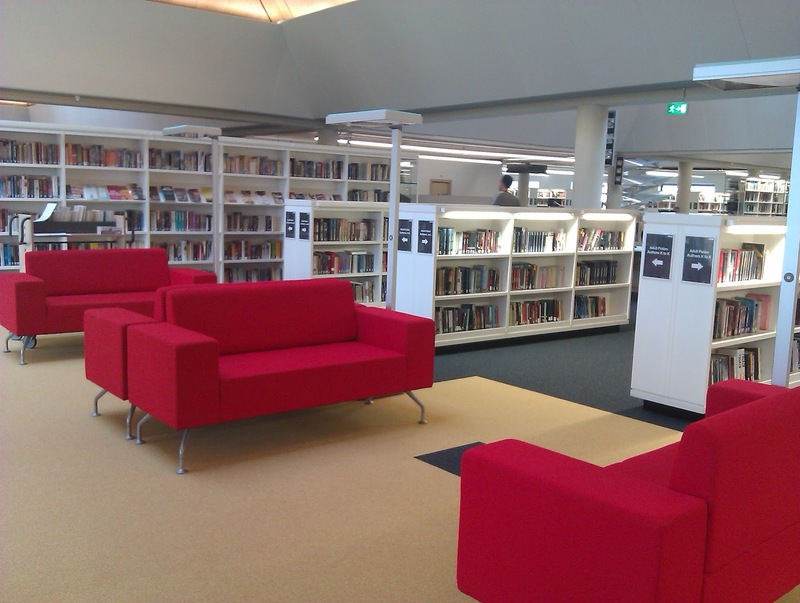 Hopefully the 'Hive' is not the future of libraries and instead the future will hold well stocked and organised libraries with issuing machines that work and staff who know what they are doing. 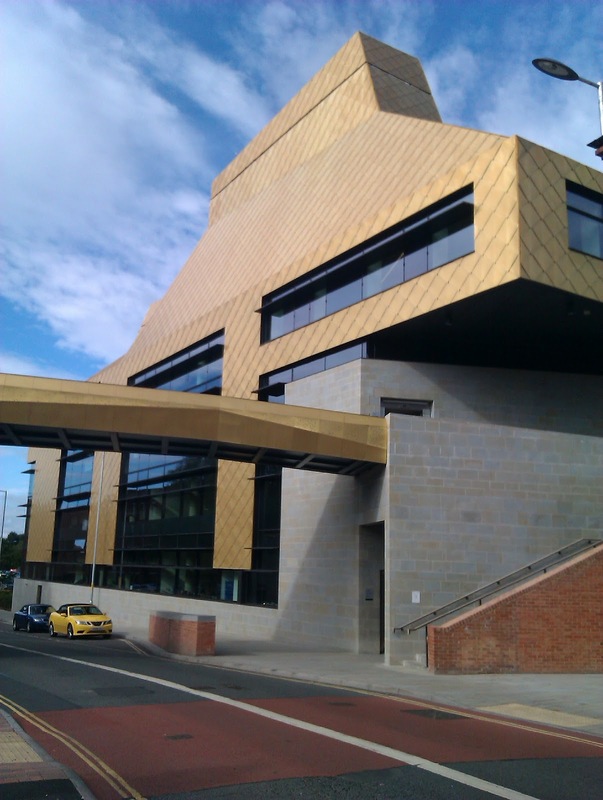 The whole misguided notion of the 'Hive' seems to be that a new building makes up for the poor top heavy council services they hold. It fails in this completely. A lot of expense with no improvement in service.